Thanks to everybody at Medallion for designing another great cover for the Woodshed Wallace series. I really like the harsh, chilly color and the layout carried over from Suckerpunch. Aaron “Woodshed” Wallace has fought his entire life to survive. He thinks the big break from MMA promotion Warrior Inc. will change all that, and he’s right. But first he has to make sure Warrior and its president, Banzai Eddie Takanori, don’t get snuffed out by the yakuza. If the Japanese mobsters can’t collect on the debt Eddie owes, they’ll take payment in blood—no matter whose. Woody has no choice but to use his mixed martial arts skills in and out of the cage to help Eddie and his ex-SAS bodyguard stay alive and to keep Warrior intact. Serves Woody right for trusting Eddie and thinking he was off the hook for his past. He should know by now what happens with hooks: when you drop back onto them, they go twice as deep. Hook and Shoot by Jeremy Brown - Click for large size. Wow Pamela, thanks so much for reading Suckerpunch, and super thanks for such a great review! Your observations are dead-on, and while I can’t give too much away about HOOK AND SHOOT, Marcela will return at some point in Woody’s future. And no worries, she’ll be as badass as ever. 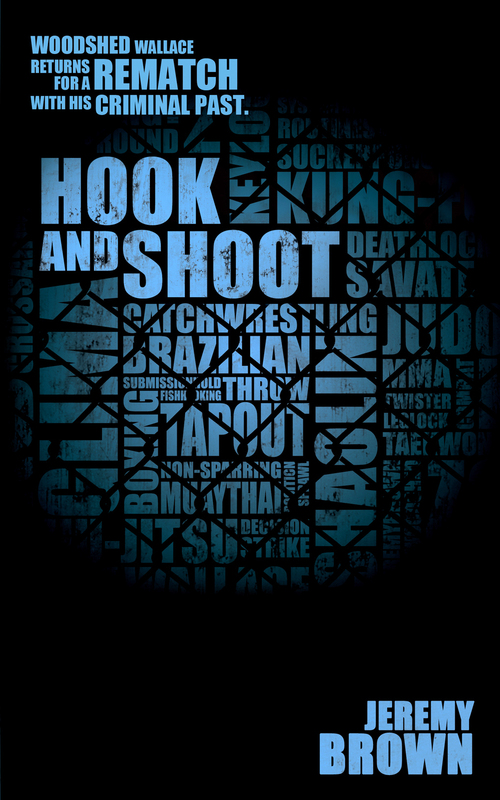 HOOK AND SHOOT comes out this November, so I’m afraid we’ll both have to wait a while to find out what you think of it. If you don’t mind, I’d like to add you to my list of advance reader copies. I’ll email you when the book is ready!